After browsing (more like drooling over) products that I hope will soon make their way into my kitchen, I get on facebook and what do I see ads for? Le Creuset Soleil Skinny Grill. Microplane Soft Handle Zester Graters. Everything I was just looking at on Sur La Table.com. Creepy? A little. Smart? Definitely. 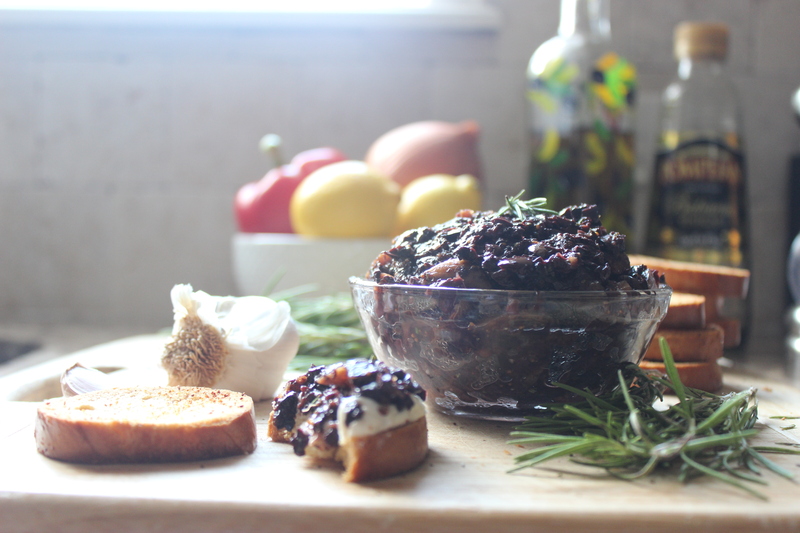 I had the same feeling when I came across so many variations of a fig and olive tapenade on pinterest. It was as if Ben Silbermann was sending me a personal message because he knew I would love it. Just like that beautiful skinny grill following me around on facebook, this recipe was calling my name! 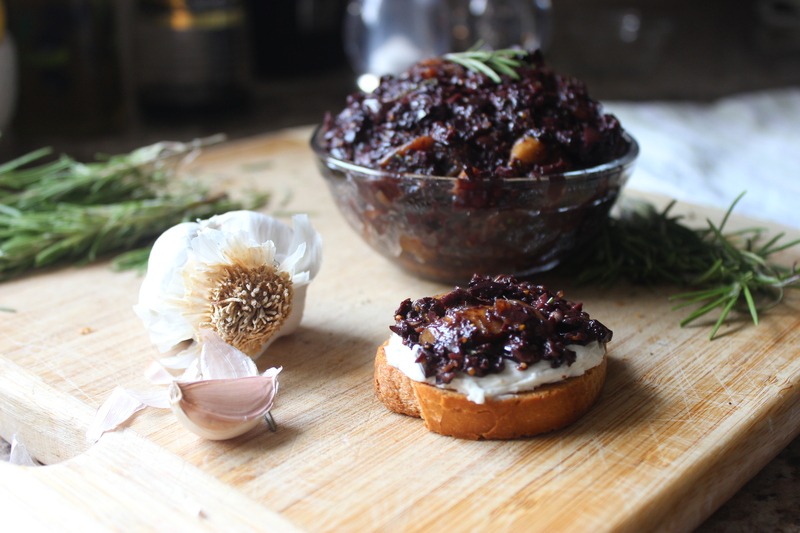 Ready in less than 10 minutes, I layered this rich tapenade over cream cheese on toasted baguette slices for crostini–the perfect appetizer for those upcoming summer get-togethers. While the crostini turned out fabulous-keep in mind that this can also be tossed with pasta or spooned over baked chicken breast for a unique sweet/savory flavor combination. In fact, with so many options, I might have to keep some on hand at all times. For some of my favorite kitchen gadgets, recipes and other things I love, follow my blog on pinterest. Bring water and figs to boil in a saucepan and cook until figs have softened and most of the water is gone. Remove from heat and stir in the olive oil, balsamic vinegar, rosemary, cayenne pepper, garlic and olives. Add salt and pepper to taste. For crostini, serve with cream cheese and toasted baguette slices.